As like Facebook, Twitter also allow users to login on third-party websites by giving an app permission to your account. For example, you can sign up on Quora, which is a popular question-answer website, with your Twitter account. All you have to do is, give permission to the Quora app and it will automatically fetch all your account information. There is no need to add email address and password. Similarly, you can connect your Twitter account with your Facebook profile (or page as well) so as to post same thing on both platforms at the same time. There is no big deal in creating a third-party app on Twitter. In fact, it's free and anyone can create it by following Twitter's developer guide. Once you have authorized an app permission, it can access basic information such as your name, email address, mobile number, profile picture, tweets etc,. It can also update your profile and tweet anything on your behalf. Here's everything you need to know about Twitter's third-party apps and how you can revoke their access to your account. Why you should remove third-party applications? Some of the third-party apps can use your Twitter account for spam purpose also. 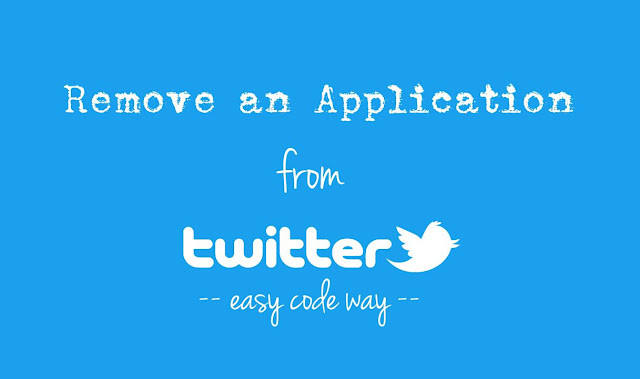 Once you have authorized an application, it can post promotional tweets without your permission. You may start following and messaging unknown people by itself. Apps are always running in the background even when you are not active. If you find these kinds of spam activities in your account, it would be probably due to the third-party app you are using. For example, there are a number of auto-followers websites available for Twitter which can help you to gain hundreds of followers instantly but you may be a victim of spam. Due to which, your account or its particular services may be blocked temporarily and permanently as well. First open Twitter and login to your account. 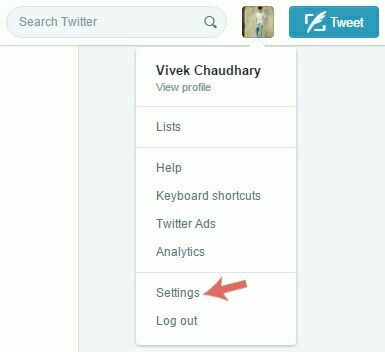 Now click your profile picture icon at the top-right corner of the screen. Next, click the "Settings" option from drop-down menu. Now move to the "Apps" tab. 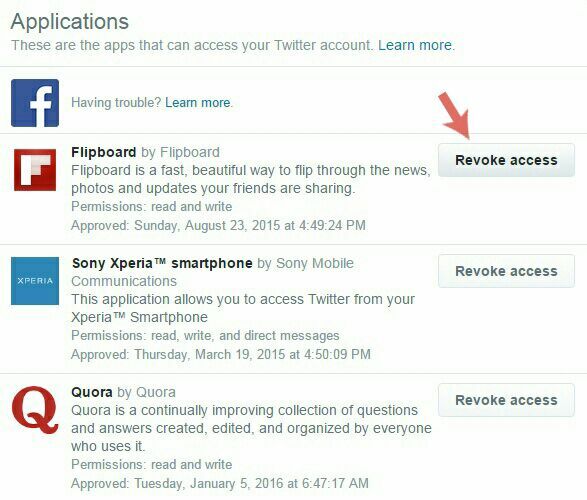 Here find the application you want to remove and then click "Revoke access" button next to it. Once you have removed all untrusted apps, they won't be able to access your account. However, you can authorize them again any time. Before authorizing any application, first read all the permission very careful and allow it only when you found it safe. If any third-party service is asking you for the username and password, please be cautious, as someone is try to get full access to your account. Never use auto bots like auto liker, auto followers and auto tweet. 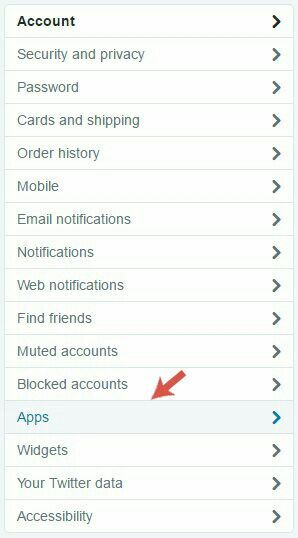 They may not do what they say but will surely use your account for spam purpose and due to which, you may be blocked by Twitter. If you would like to add something in this tutorial, please do share it in the comments. Which apps you have removed and why? Let's know.